One third of the magistrates’ courts in Lancashire have closed over the past decade. Rawtenstall Magistrates’ Court, Ormskirk Magistrates’ Court and Family Court, Accrington Magistrates’ Court, Fleetwood Magistrates’ Court. 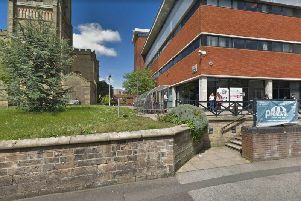 It was announced last year that Chorley Magistrates’ Court was to close but the facility remains open. In Lancashire two courts have been sold - one to a private buyer - raising a total of £385,000 for the MoJ. The Treasury has stipulated that £400m of the MoJ’s £1.2bn digital modernisation programme must be raised through the sale of courthouses. Across England and Wales, £223m has been raised by closing 162 out of 323 magistrates’ courts.Two courts were sold for just £1 each.